Dongle Users – connected to Internet using 2G, 3G or high-speed data cards. Average price of mobile device among user who access Internet using mobile devices is Rs. 8,250. Accessing internet on mobile phones that cost below Rs 6,500 is not very convenient. 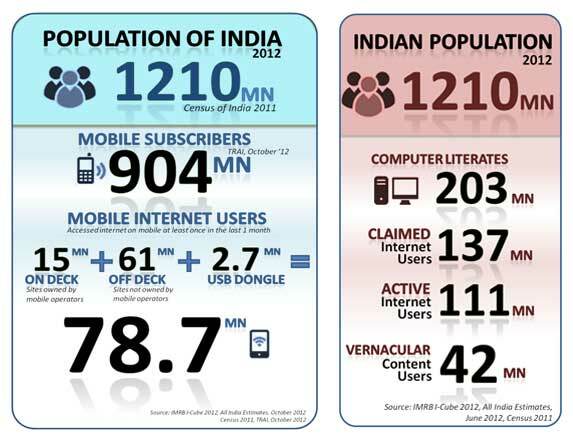 Email and social networking are the popular apps on an internet ready mobile phone in India. While online games are accessed by nearly 50% of the Mobile Internet users, less than 30% of users read online news and watch online videos. 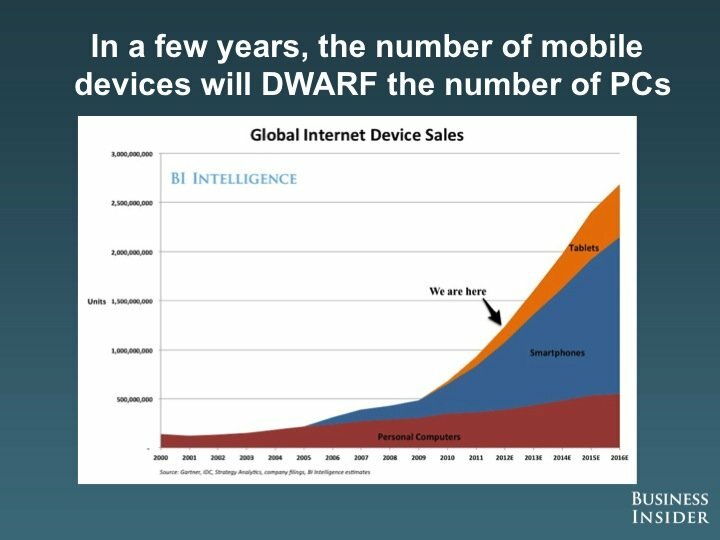 Would be interesting to see how many of the new mobile internet users will be from the language base. That would be of great interest for us at Oneindia. 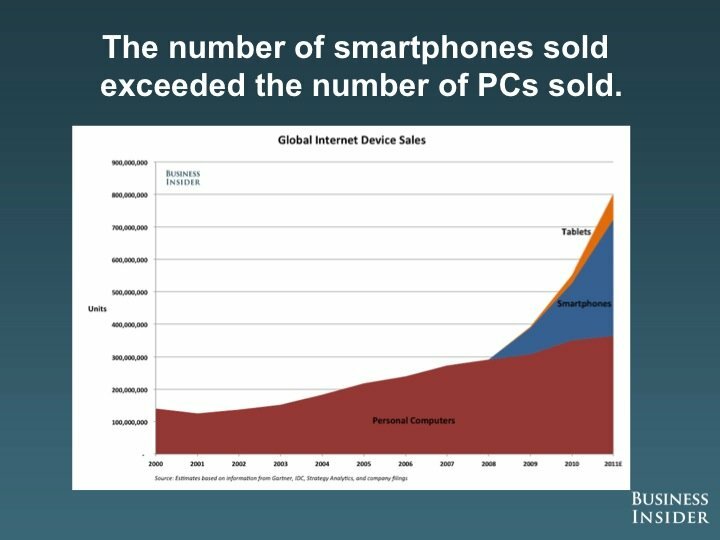 These two slides from Businesss Insider give a good picture on PC, tablet and smartphone sales till 2016. If you are in PC industry, time to upgrade yourself to a small device industry. Else you will be history.